On the hillside in the charming resort of Arenal d'en Castell, Villa Tin Tres is a premium holiday home with astounding views. 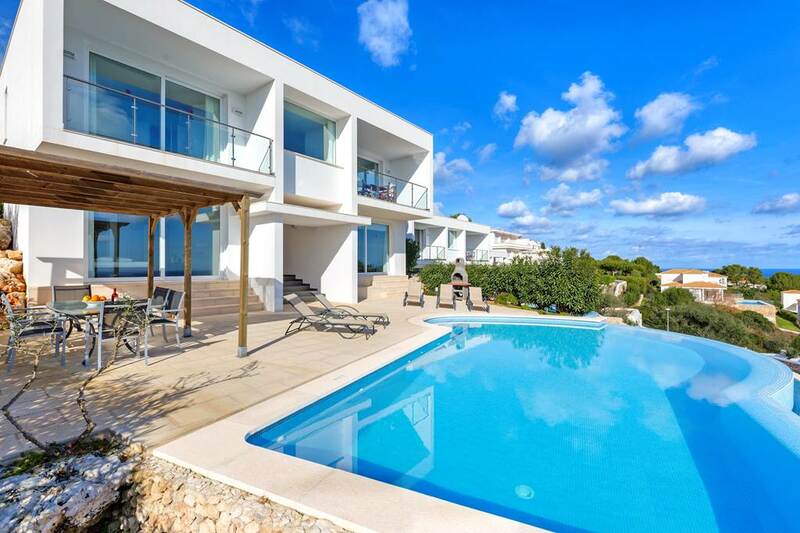 Its high position means you can gaze out onto Menorca's stunning coastline, all while you're relaxing in the private infinity pool. 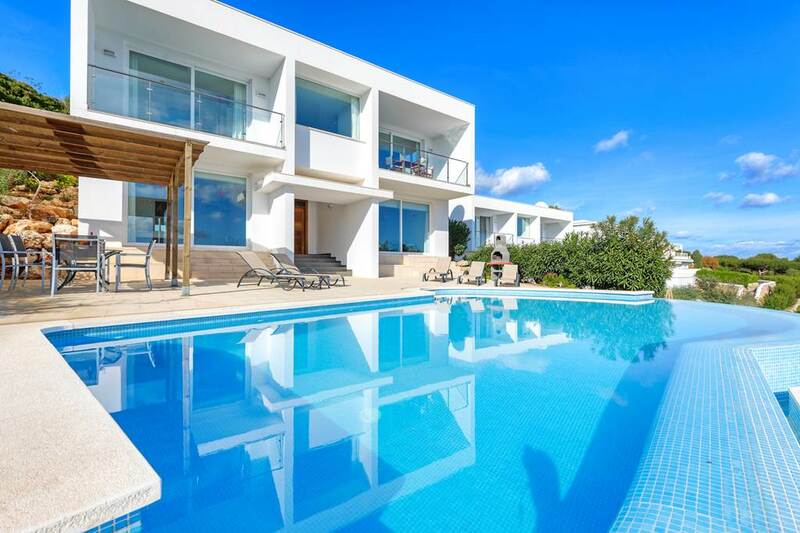 This pretty whitewashed villa has a brilliant outdoor space, fully-equipped with sun loungers, a stone barbecue and dining furniture. Enjoy your lunch under the shaded terrace before catching more rays! 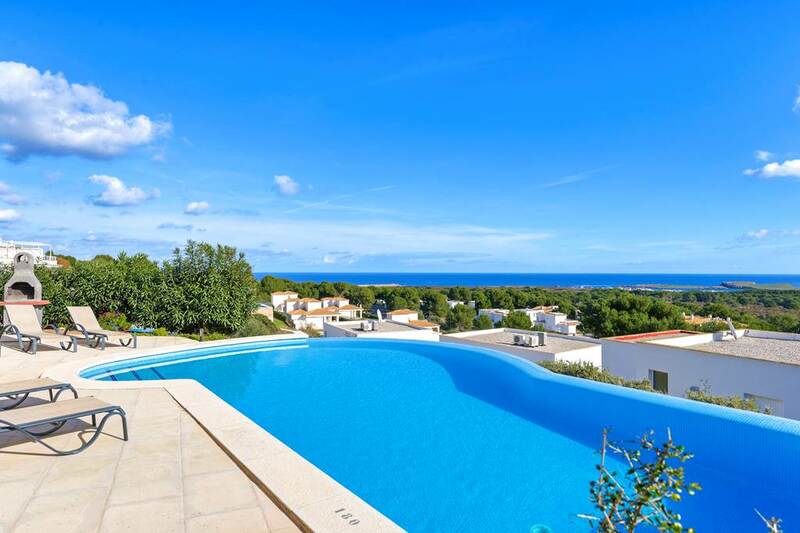 With an open-plan living/dining/kitchen area, Villa Tin Tres has an airy feel throughout. This continues into the four bedrooms, which have air-conditioning to keep you cool on warm nights. There's so much to see nearby, with local shops and restaurants reachable on foot. A brief drive will take you to the fishing villages Na Macaret and Port Addaia, as well as the popular Son Parc golf course! As well as the waterfront, there are also some great places to eat and drink in town. Dine under the stars at Alcalde, an elegant contemporary restaurant overlooking the beach. Enjoy live music or the big match at B51 Irish Bar, or tuck into a juicy steak at the Blue Arenal, with pineapple ice-cream for dessert. For live shows and tribute bands, head to the Coves Noves residential centre at the entrance to the resort. It has an attractive square with several bars that stay open late. If you've got kids, enjoy early evening drinks at Backgammon Bar while the little ones play safely in the inflatable area next door.